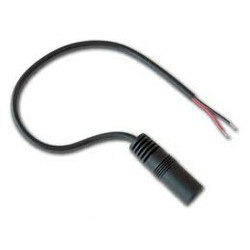 DC Connectors offered find high application in cars, LED driver power supply, LED display and communications equipment. With the help of our latest infrastructure facility, we are engaged in manufacturing, supplying and exporting huge array of Electrical Components & Systems. These products include Home Appliance Wiring Harness, Computer Accessories, Audio and Television Wiring Harness Assembly, Power Joints, Strip and Network Connectors, Auto Wiring and Harness Assembly. In addition, we also fabricate Control Panel Wiring Harness Assembly, Electronic Control Device Wiring Harness Assembly, Home Appliances, Sub-Assemblies and Plastic Molded Components. These products are engineered in our high-tech manufacturing unit by making use of superior quality raw materials that is procured from reliable vendor base in the industry. Being highly recognized as a quality oriented organization, we have been awarded with ISO 9001:2008 (ICRS, NABCB). Thus, all our products undergo strict quality control measures in our internal quality control unit. We are constantly supported by our highly experienced and professional quality controllers who undertake these quality testing procedures. We are also looking for International Inquiry .